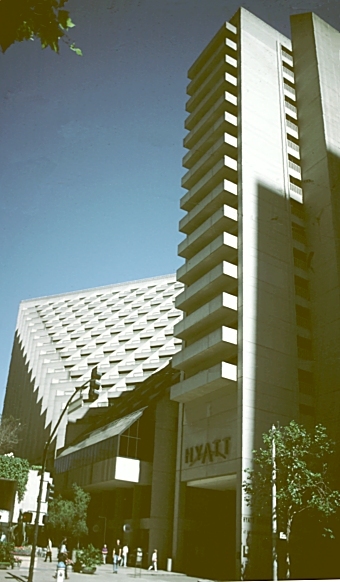 Images of Hyatt Regency Hotel, San Francisco by John Portman. Digital Imaging Project: Art historical images of European and North American architecture and sculpture from classical Greek to Post-modern. Scanned from slides taken on site by Mary Ann Sullivan, Bluffton College. Like the lobbies of many of Portman's hotels, this lobby has a huge open atrium extending to a height of 170 feet. 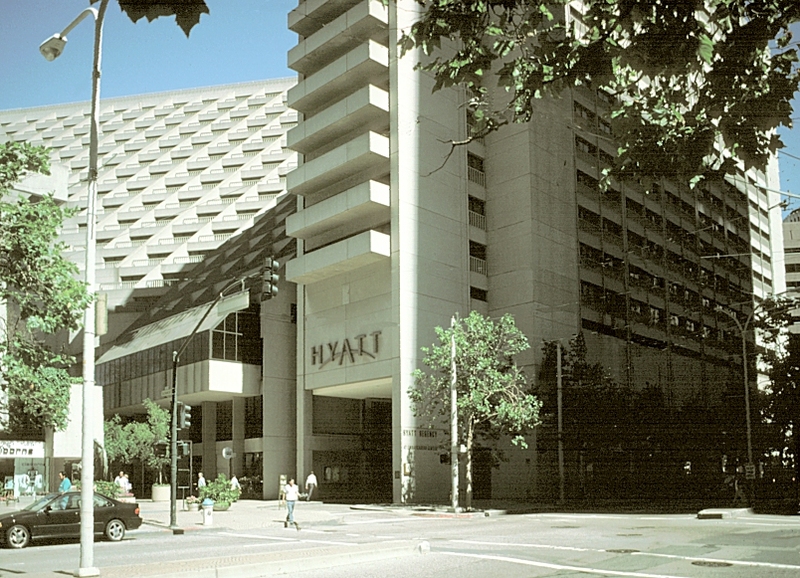 Tiered floors, open to the lobby, are part of the unique design. 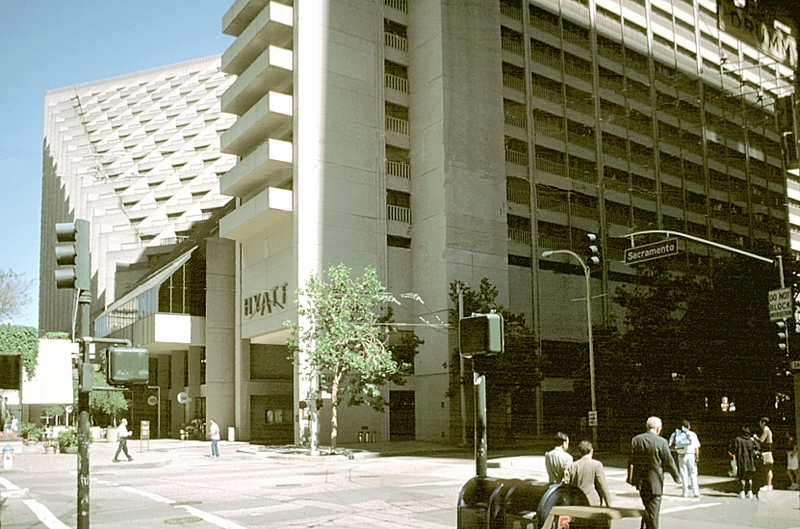 See also the interior of the Renaissance Center in Detroit. 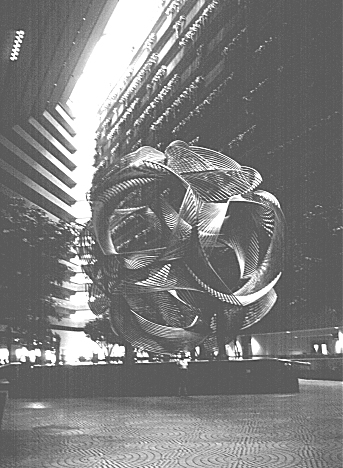 See also Portman's Renaissance Center in Detroit.